Cavities, also referred to as tooth decay or caries, are holes in the teeth. Cavities are the second-most common health disorder in the United States, according to the National Institutes of Health (the first is the common cold) and a very common disorder worldwide. Cavities usually occur in the teeth of children and young adults, but they can happen at any age. Cavities are the result of two primary factors: bacteria in the mouth and a high-sugar and starch diet. It is natural to have bacteria in the mouth but it becomes problematic in the case of poor oral hygiene. According to the National Institutes of Health, the mouth's normal bacteria combine with food pieces and saliva to form plaque. 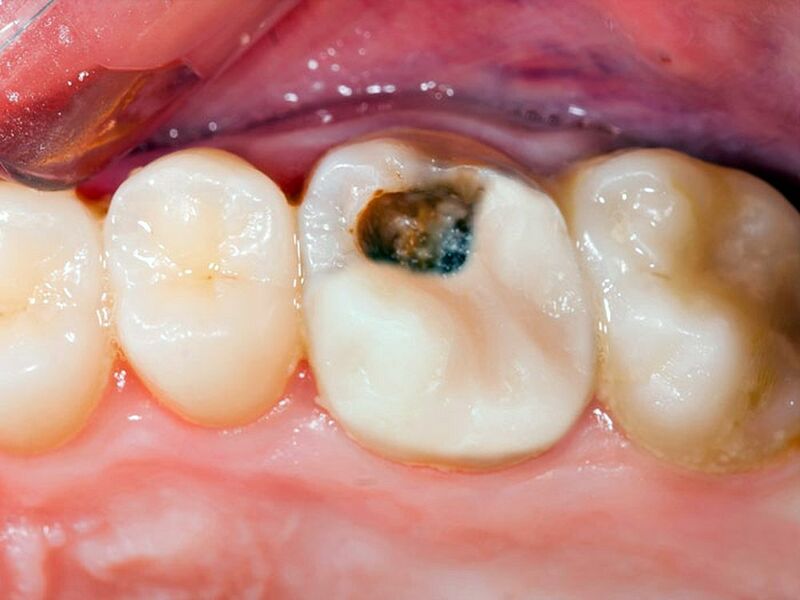 Plaque is a sticky, invisible substance that accumulates quickly. Foods rich in sugar or starch make plaque stickier.